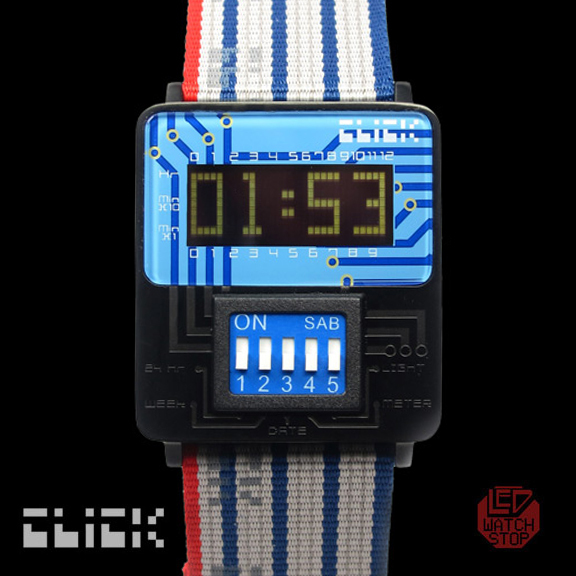 Introducing the all new Click Watch series! 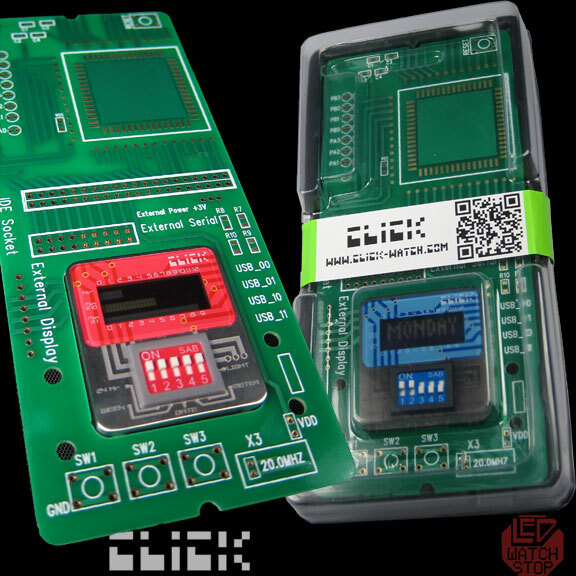 This ingenious new watch utilizes authentic electronic dip switches...the kind that you would find in computers and arcade games in the 80's. Each switch activates a separate function, which include: a bar graph metered time display, 12 and 24 hour digital time display, date, and a backlight. 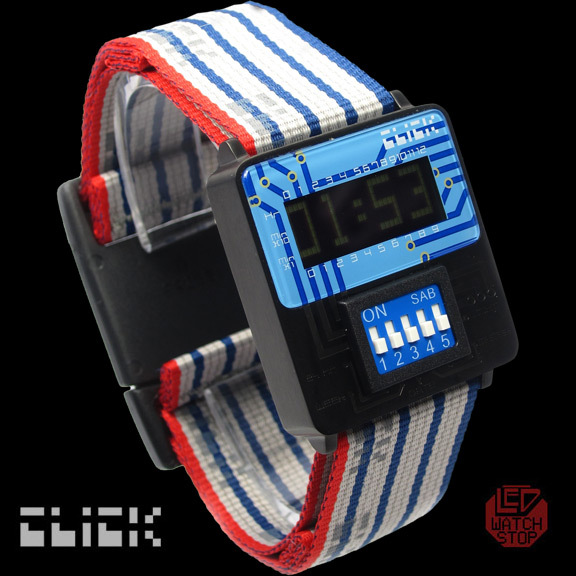 Also features a cool web strap wrist band that emulates computer cables! Remember when installing computer upgrades required setting all sorts of DIP switches? Obviously a lot of thought and history went into designing this fantastic timepiece, don't miss out on your chance to pick one up today! 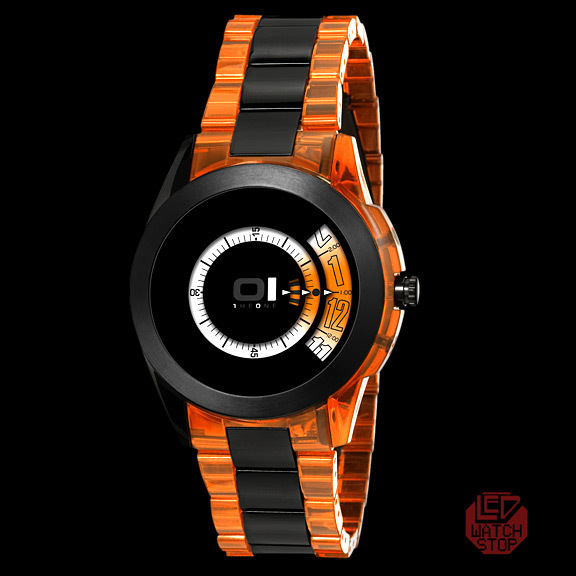 These new watches come in two basic models, the DIP-Switch and the Turn-Switch. 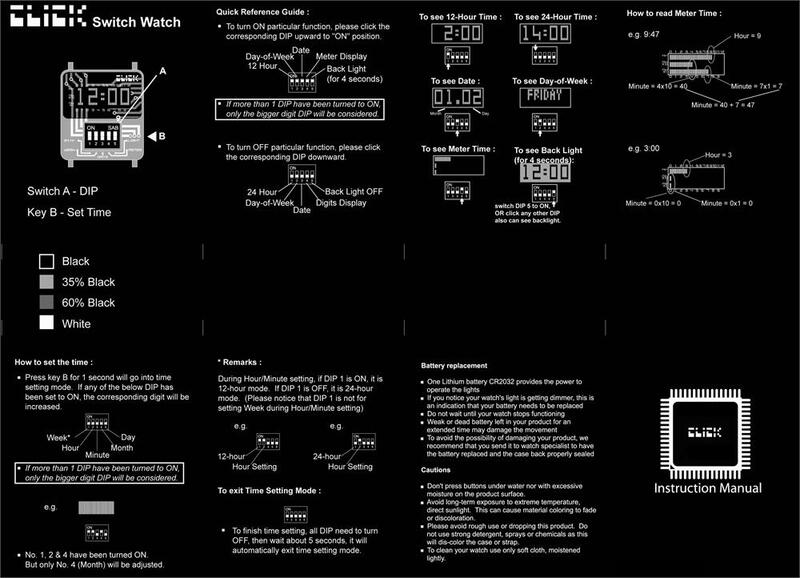 See also the new Turn-Switch Click watches!